Peter Garsden - provider of www.abuselaw.com: Should Woolf resign from the National Historic Abuse Inquiry? Should Woolf resign from the National Historic Abuse Inquiry? 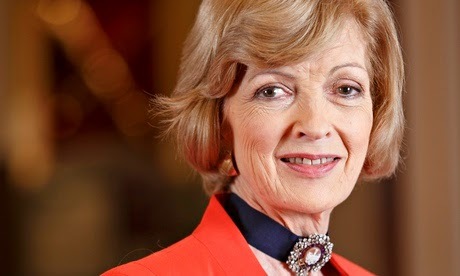 I was surprised that the government chose Fiona Woolf to lead this enquiry as she does not have a history of representing the rights of the poor and oppressed members of Society, quite the reverse in fact because she has quite a history as a company and commercial lawyer. That is the wrong background for the head of an enquiry which is forseen as attacking the establishment and upturning stones under which we expect to find scandals. I was expecting someone like Keir Starmer or Michael Meacher QC. For all I know they were both approached and refused. After the disaster which followed the appointment of Lady Butler Schloss, one would have thought that more care would be taken this time. It should be turned into a public enquiry. What documents should be demanded from government - that is crucial to uncovering the truth. The survivors obviously think that someone weak and lack lustre has been appointed so that the inquiry will never get to the truth because it will not adopt an aggressive and "won't take No for an answer" type of approach. I find it hard to believe that Teresa May has made a hash of this for a second time. Wouldn't you have thought she and the department would have done their homework first, as it has obviously led to an embarrassing appearance before the Home Affairs Select Committee. There should be a former judge, or at least someone who has chaired enquiries in charge. So what format should the enquiry take? Quite frankly I am glad I am not on the panel, because membership of the panel almost guarantees being pilloried by survivors whose vitriol and mistrust, which is quite understandable, will not assist it being a successful form of process. How long will Ms Woolf last - it looks as though she is here to stay with the full backing of government. She is also being supported by her fellow panel members, who have gone public to say that because there is such a broad spread of panel members with all the right characteristics, it doesn't really matter.